Italian energy giant Enel beat its Spanish rival Iberdrola in the race to acquire Brazil’s electricity company Eletropaulo, offering just over $2 billion for a takeover, the Rome-based firm said. Once the deal is formalised, Enel will become Brazil’s largest electricity operator, it said in a statement Wednesday. Brazil has invested heavily in recent years in renewable energy and electricity distribution. 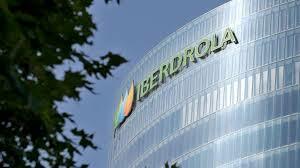 On the final bidding day, the Italian group’s local subsidiary offered 45.22 Brazilian reais per share for the buyout, topping the previous offer of 39.53 reais from Iberdrola’s subsidiary, Eletropaulo said in a statement. Enel said it will only finalise its offer if it is assured a controlling stake of over 50 percent of Eletropaulo’s capital. For a 100 percent takeover Enel would pay out 7.57 billion reais ($2.05 billion). In addition, Enel committed to subscribing to a capital increase for at least 1.5 billion reais. The takeover is set to broaden Enel’s client base in Brazil by seven million to a total of 17 million. Eletropaulo’s share price was up 2.94 percent Thursday, a day after Enel announced its final bid. Enel and Iberdrola have been fighting for Eletropaulo for two months. In a letter to the European Commission, Iberdrola on April 26 accused Enel of unfair competition, particularly in the battle for Eletropaulo, a charge Enel denied.